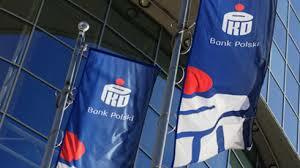 Rating agency Moody’s gave an “A2” with a negative outlook on the € 500m bond by Polish key lender PKO BP. The bond in the amount of € 500m, which will mature in January 2019, was given an “A2” with negative outlook by Moody’s. The five year Euro bond was issued last week under the € 3bn-worth EMTN program. According to deputy CEO of PKO BP, Jakub Papierski, the paper was valued at 115 basis points above mid-swaps. This article includes a total of 56 words.